Puma eyeglasses show the shape, style, and elegance that has made it a fashion leader for years. 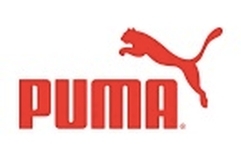 Puma eyeglasses are made well with fashion, function, and elegance in mind. The line "No Cage" spearheads the new collection: "Your eyes are made for watching and your look is born to run: towards infinite horizons and inside every single detail; digging into the present or straight towards to the future." Thus, the Puma Eyeglasses Collection.